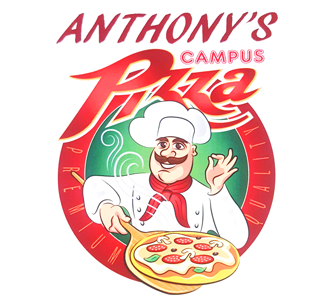 Online ordering menu for Anthony's Campus Pizza. Create your own pizza here at Anthony's Campus Pizza or try one of our specialties such as the Buffalo Chicken or the Philly Steak Pizza. We also serve wings, calzones, pasta, subs, and more. Find us on Main Street between High Street and I-81. We're not far from James Madison University and Hillandale Park. Order online for carryout or delivery!